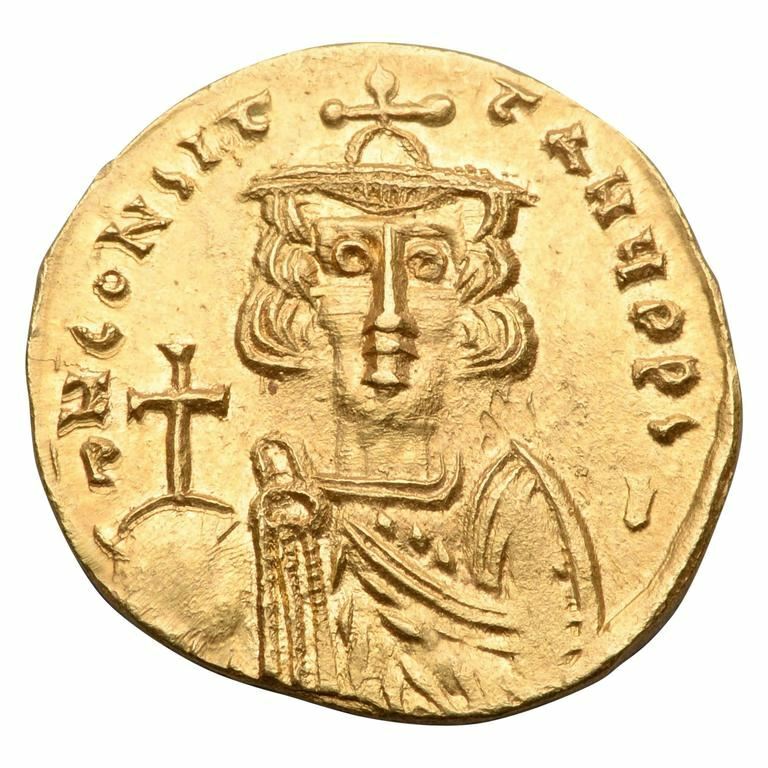 Constantine IV was Byzantine Emperor from 668 to 685. His reign saw the first serious check to nearly 50 years of uninterrupted Islamic expansion. After his father's assassination, the new emperor immediately faced a war with Caliph Muawiyah I. Chalcedon was conquered, then Carthage and Sicily in 669. Cyzicus in 670, and Smyrna and other coastal cities in 672, before sending a large fleet to attack Constantinople by sea. Conttantine ensured that the city was well provisioned, and constructed large numbers of fireships and fast boats for squirting fire on the Arab fleet. The city survived, and finally in 678 the Arabs were forced to raise the siege. After defeating the Arabs, Constantine turned to religious matters and called the Sixth Ecumenical Council, which solved the controversy with Monothelitism. In 685, he died of dysentery.